I love taking part in Cee’s Challenges. 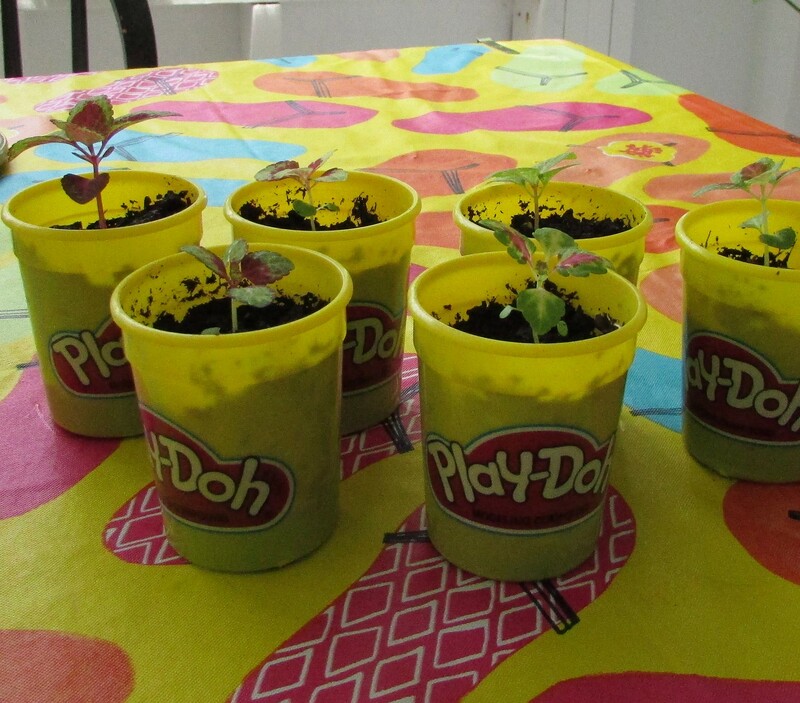 Today’s photo of coleus seedlings growing in Playdoh containers is a bit odd, and also goes along with her post’s color theme of gold: Cee’s Oddball Challenge. I love using ‘free’ and odd containers for planting small seedlings. Two more of my favorites are empty Greek yogurt containers and small applesauce tubs. I have stacks of these at the ready on my gardening shelves. 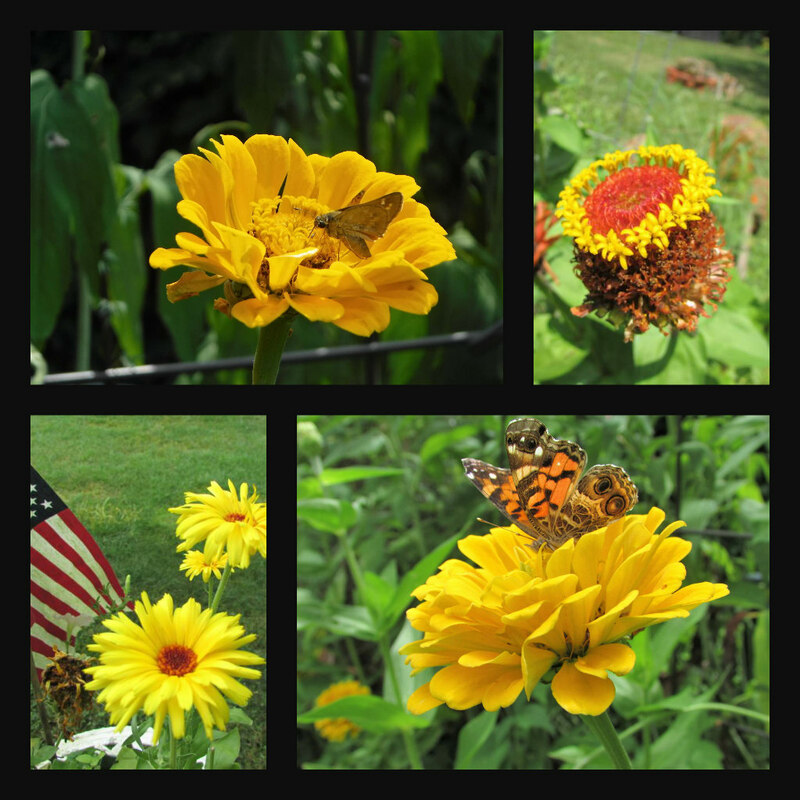 I love the color gold and right now the garden is filled with golden flowers. Flowers of gold are the sun of summer, even on cloudy days. That’s a beautiful way to look at the flowers Candice…thanks! I never tire of them, I think I actually love them more with every passing year.